We’ve all tried it: Two Buck Chuck from Trader Joe’s. But is it any good? Is it worth your time? In spite of the fact that their wine should be called three buck chuck (prices have risen, but that moniker lacks onomatopoeia), I’ve had TJ’s wines at several functions and always deemed them “drinkable”. Ok, but does that mean you should drink it? No, you should drink what you like. Just because you CAN drink it doesn’t make it worthy. Hey, you could drink urine. I would never advocate it, but evidently it’s drinkable (gross!) in a matter of life and death. Thankfully, wine is NOT a matter of life and death. 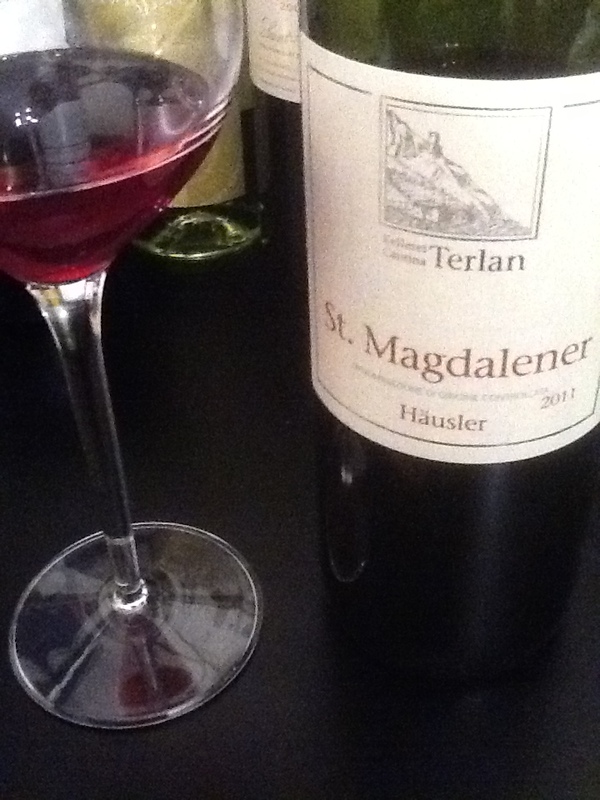 Shaking off that tangent (and assuming you haven’t closed your browser) let’s consider TJ’s Wine. It’s my firm belief that Two Buck Chuck is an alternative to the $8-11 bottles you might find in a wine store: every day, drinkable table wine, kind of like how Uncle Ben’s Rice is an acceptable side dish. It serves a purpose, though you probably won’t be writing home about it. I had a blast reading this article from Thillist by Ben Robinson who convinced pal Sam Lipp, the GM of Union Square Cafe, to casually rate TJ’s wines along with Robinson’s beer-drinking girlfriend while eating pizza. The blithe commentary is a hoot, with the girlfriend’s less-refined opinion carrying as much weight as Lipp’s in the storyline. It’s a fun read for anyone who loves wine, because we’ve all been there at some point in our lives: just hanging out and drinking whatever is laying around with your friends. Like drinking with your buddies, the notes get funnier as they go along. On the other side of the spectrum is S. Irene Virbila’s article in the LA Times which expressed a former appreciation and now a certain disdain for TJ’s wine. 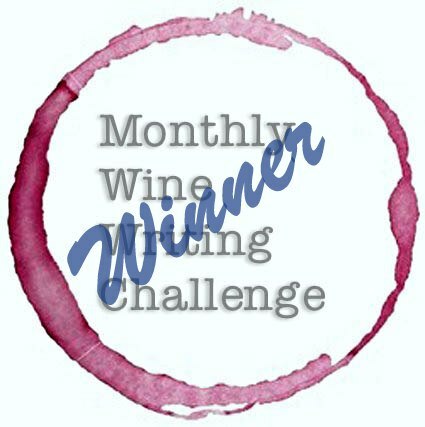 But even if these wines are only useful for quaffing at barbecues or for quiet Tuesday night dinners at home, Virbila’s article expressed that in spite of finding a gem, TJ’s wine was truly a waste of time. I couldn’t help but notice that not one of the wines considered was in the generic two-buck-chuck category. Perhaps that was a mistake. But at what point do the best of the generic wines compare to the bottom of the name brand wines? Everyone knows that I’m constantly looking for great value in wines. Well, I’ve never seen a decent amarone for under $20. 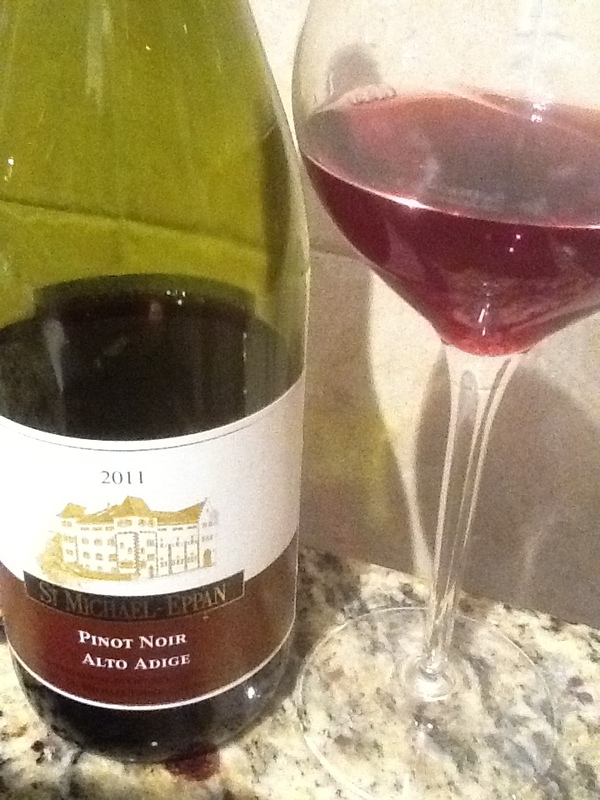 Anatoli Levine (aka Talk-A-Vino on WordPress) shared his position on Amarone from Trader Joe’s which intrigued me. I look forward to tasting his picks, and I’d love to hear more opinions from anyone who has tried these wines! Just because a wine is drinkable doesn’t make it good or even worth my time. This is why I constantly seek out great value in $8-13 bottles to share with you. But if you enjoy it, if the wine gives you pleasure… well then isn’t that worth your time? If you would drink a $9 bottle of every day table wine, why not a $3 bottle from Trader Joe’s if all you want is a basic vin du table? Knowing that every day won’t be a dinner of delicacy, sometimes you just throw together whatever you have laying around. So maybe we’ve found the perfect solution for pairing a white wine with a box of mac and cheese. 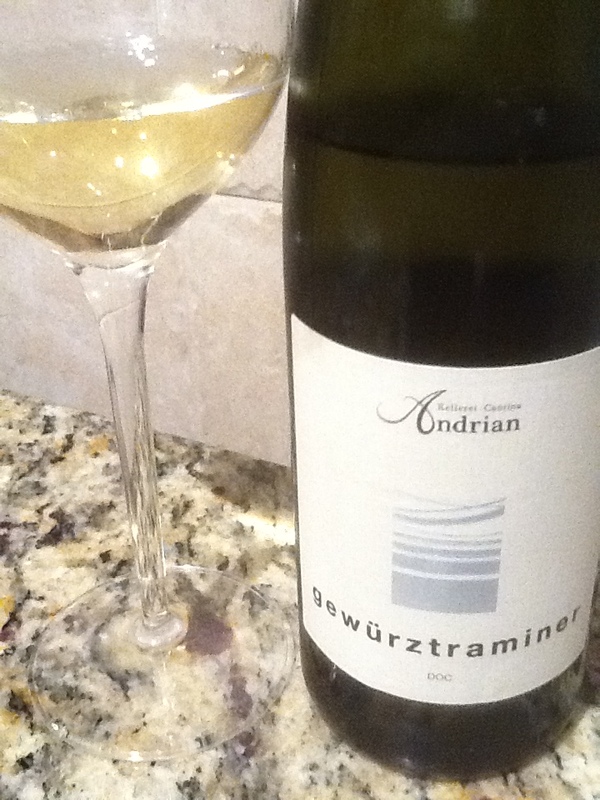 In the end, it’s all about finding wines you like, and wines that give you pleasure. It’s a New Year, and a dozen people have reached out to me regarding an NPR article about alternative bottle closures. – Traditional corks are made from bark of the cork oak (Quercus Suber). 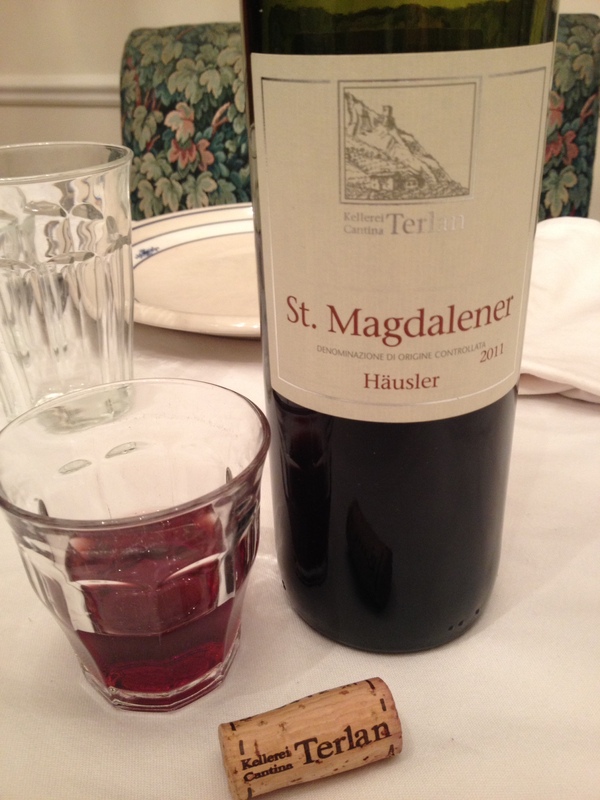 Since the cork is stripped from the tree, it is considered a sustainable practice. Most of the corks in the world come from Portugal and Spain. Traditional corks are key to the development of the high end wines that improve significantly with age, but the inconsistencies of gas seepage on both sides of the cork is a major concern and the cork inconsistencies mean that you have no guarantee the expensive bottle is wonderfully developed and perfectly aged versus having developed into something undrinkable to be discarded. –Synthetic corks are made largely from plastics (making them recyclable but not biodegradable). They eliminate the possibility of TCA (actual cork taint) and can be useful in specifying an exact amount of gas that can travel through both sides of the cork. 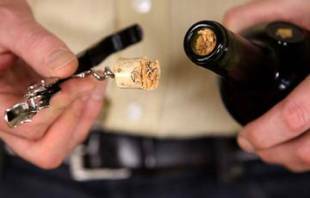 As they also maintain the classic cork removal ritual, these may offer the winemaker the best opportunity to replace actual cork as far as aging goes, but there are two major concerns: 1) some suggest that they require vertical, instead of horizontal, bottle storage to inhibit flavor transfer from the plastic, and 2) the concern that the porous nature of the plastic may over-oxidize the wine. 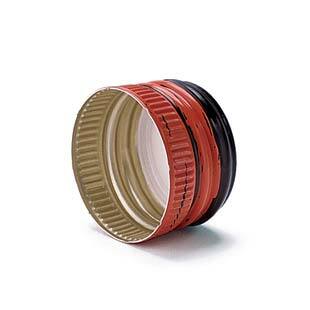 –Screw caps (aka stelvin caps) are aluminum caps with a captured plastic insert against the mouth of the bottle. These provide the best prevention from oxidation of the wine, but there is still public outcry against the use of what is considered a cheapening of both material and process, and in the case of some wines, the inability for bad aromas to escape the wine. So screw caps are currently ideal for wines designed to be enjoyed while young. They are quote commonly seen in wines from South Africa, Australia, New Zealand, and many German Mosels and Eiswines. 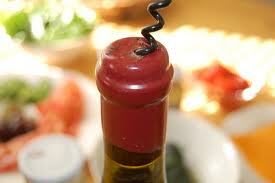 -The Vino-Seal and Vinolok are trade names for glass & plastic stoppers. Like screw caps, they provide a total prevention from oxidation, but these enclosures usually cost more to source and require manual insertion. 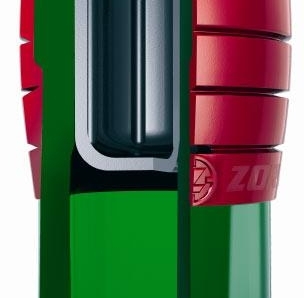 -The Zork is an Australian brand name for a modern enclosure that employs a combination of screw cap together with a plastic stopper insert, which can be used for both still and sparkling wines. Q: Why all the noise about corks and alternative enclosures? A: Sadly, because natural corks don’t do their jobs well. A 2005 study done by the American Society for Enology and Viticulture demonstrated problems with cork inconsistencies and compared them to alternative enclosures. 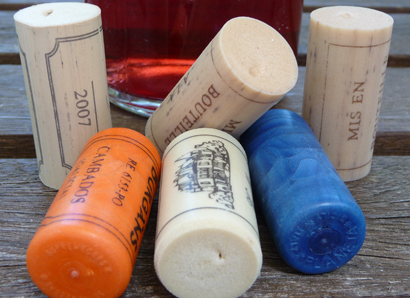 The study found that 45% of natural corks have varying gas transmission properties! So it makes sense to keep developing improvements for bottle closure, at the same time insisting that the natural cork industry improve their consistency in quality. At the end of the day, we simply want wine that is GOOD. We want products that are worth what we’ve paid for them, and we don’t wait the wine to be tainted or ruined in any way. Sure, at small dinner parties, I love the ritual of removing the cork. But I often buy wines with screw caps and have no qualms about using them personally or serving them to my guests. This past Thanksgiving, one of my wines had a vino-seal, and one had a stelvin. 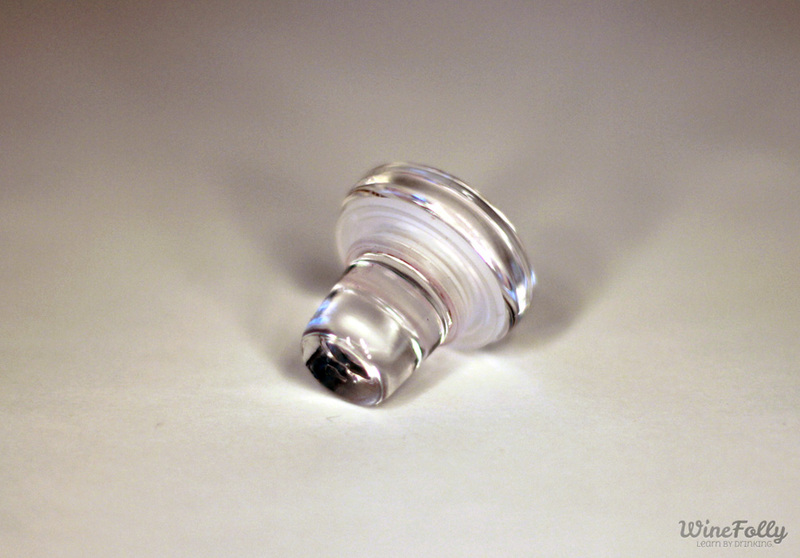 As a matter of fact, for bigger parties and events I prefer screw caps over other enclosures to allow for speedy, immediate opening as needed. Imagine having multiple case of expensive wines that had to be entirely uncorked prior to a dinner party, to find that only half the wines were used? The owner has to drink or share the wines or have them professionally re-corked if there is a desire to keep them. Finally, some wines are simply going to be better when sealed by a screw cap, as it will provide a product as exact as possible to the product when it was bottled. I have found Zorks, Vino-Seals and Vinoloks on bottles I purchased and they worked well; I have never had an issue or complaint with them. But while I have yet to find a screw cap enclosed wine with a street price over $100, I often find older wines that are sealed first with cork, and then dipped in hot wax to provide a total seal…which, just like the screw cap, prevents gas from moving in our out of the bottle. To make matters worse, removing the wax is often a messy challenge, and I find about half the waxed corks have disintegrated by drying out on the top side. So honestly, if the wine is worth protecting enough to spend the time and money to seal it by hand in hot wax, why not use a different closure and save the end buyers from the mess? To the traditionalists who decry alternative enclosures, I say it’s time to be practical! I’d rather use any other enclosure method than to open a fine wine and find it either tainted with TCA, oxidized, or to have a crumbled cork ruin the ritualized process of bottle opening and tasting table-side. 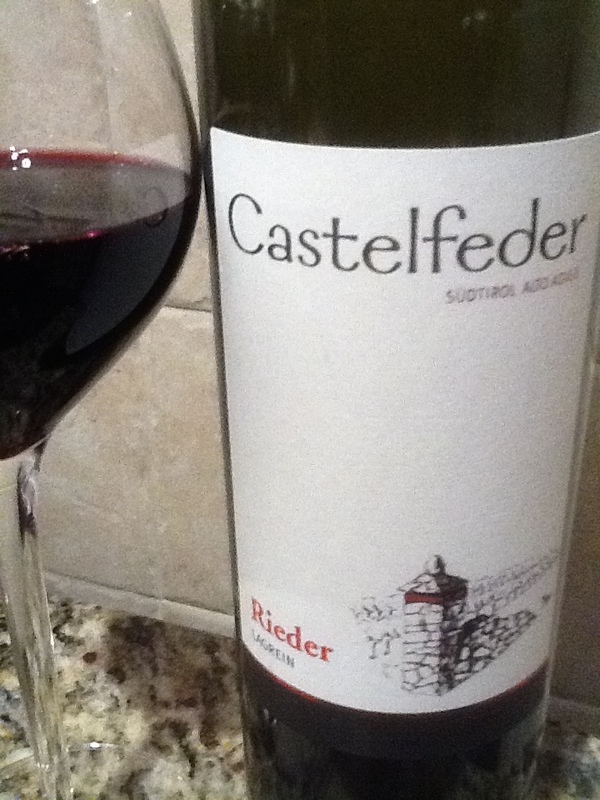 More important than ritual, is the simple truth that the wine inside the bottle should be what we expect: delicious!